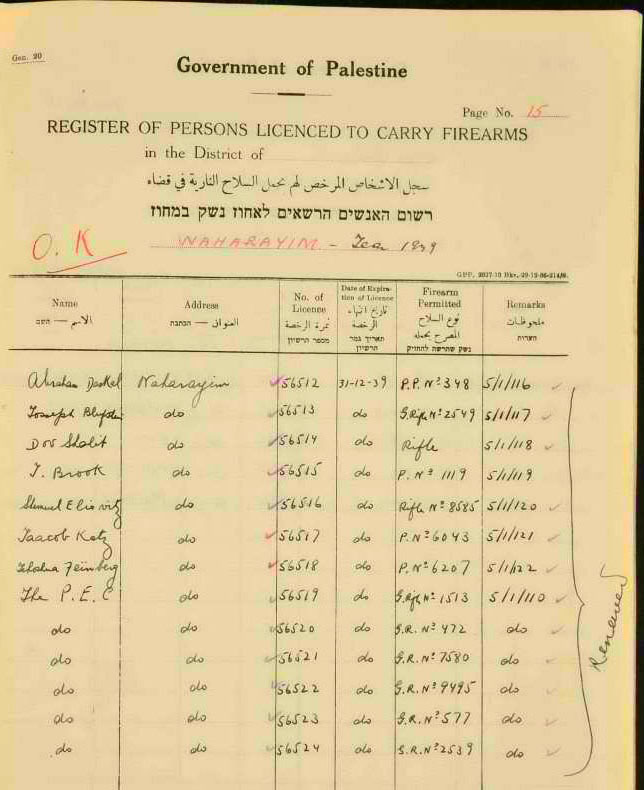 During the time of British Mandate, licenses for firearms were given out by the Government of Palestine. 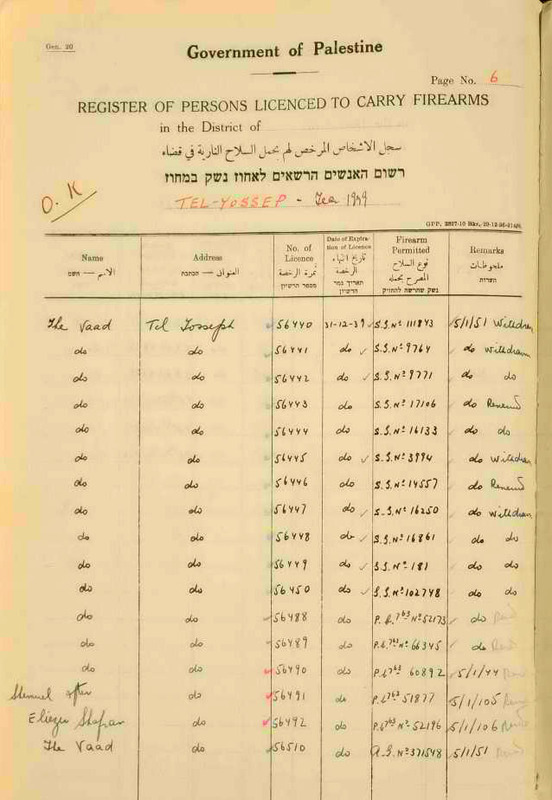 Until now only the ledgers for Afula and the surrounding area have been found on the website of the Israel State Archives. In the Jewish settlements most of the firearms were registered to the Va'ad or committee/council responsible for the settlement. In the instances that the firearms are registered to the va'ad (council), write Va'ad as the surname without the word "the". Write the "license number" in the field called "record number". When you see "do" copy the text from the line or lines above that line.